Like all markets, blockchain stocks can be volatile and unpredictable in the short term while also obeying certain typical patterns in the long run. Recent Bitcoin news might have you believing the pioneering cryptocurrency is all but dead. And while very short term data gives the appearance of a Bitcoin bubble bursting, does that hold true when we look at how Bitcoin stocks have performed over the long term, particularly as compared to general market patterns? In general, yes, cryptocurrency prices have been dropping since reaching an all-time high at $19,600 in December of 2017. The downward trend has led market analysts and blockchain investors to question just how low Bitcoin value may drop before ever recovering. Some have predicted Bitcoin stocks to drop at $10,000, but were proven wrong when Bitcoin actually reached an all time low of $7,625 just two days ago, representing a loss of 61.22 percent since peaking! However, all markets, whether cryptocurrency or otherwise, are prone to lots of small ups and downs which actually represent an overall growth when viewed overtime. In just the past couple days since plummeting to $7,625 per Bitcoin, the cryptocurrency has already regained some of its value to climb up to $8,605 per Bitcoin. In order to understand how Bitcoin stocks’ behavior over the past five weeks may fit into a larger pattern, and therefore allow us to make more accurate market predictions, we need to look at previous peaks and valleys in its value. Historically Bitcoin values have seen a number of steep declines in value to help put this most recent drop of 61 percent into perspective. For example, in June 2012 the Linode hack scare caused Bitcoin to lose 36 percent in value. Greater losses in Bitcoin stocks were incurred due to the 2014 Mt Gox bankruptcy which saw a 49 percent drop in value. 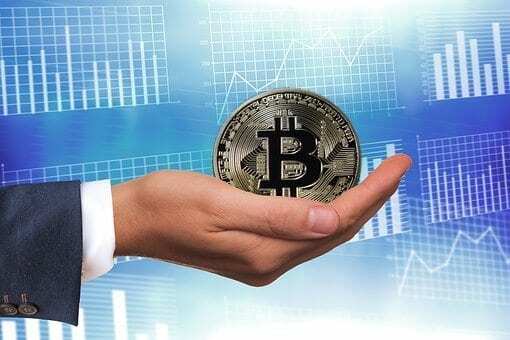 The Chinese implementation of severe cryptocurrency regulation just this past September saw Bitcoin lose 40 percent in value, but it quickly recovered to peak in December as previously mentioned. While none of these aforementioned drops in Bitcoin stocks surpasses the most recent, there have been even steeper drops. In 2011 Bitcoin value decreased a whopping 94 percent due to the first hack of Mt. Gox, a Japanese exchange. That incident even incited another huge drop of 79 percent in Bitcoin value two years later in 2013. Furthermore Bitcoin experienced the longest ‘bear run’ in from November 2013 to January 2015 as the cryptocurrency’s value sunk over 87 percent! These statistics, rather than cause concern, serve as a reminder that each individual drop in Bitcoin value does not spell sudden death for the OG cryptocurrency. Rather, it reflects how Bitcoin is in many ways like traditional financial instruments and stocks, regardless of its high tech blockchain framework. The key is to look at market graphs which reflect years of activity versus weeks or months. Longterm charts of Bitcoin value indicate it is far from dead or worthless. The cryptocurrency has gained roughly 70,328 percent in value since it was first developed ten years ago. All good stock investors know that longterm investments versus quick payoffs are the key to real success in the markets. When you look at Bitcoin peaks and valleys over years, what we see is that for every two dips, Bitcoin then regains its value sevenfold, hence why it is both volatile in the short term, but reliable over the long haul. Rather than distract yourself with every salacious bit of Bitcoin news, keep your eyes on larger patterns which reflect true growth.